Hail can cause a tile roof (terracotta and concrete) to crack and break, often the tile corners will break where the hail impacts. It is important after a storm to have your roof inspected for damage as it may sometimes not present itself till later through leaks or loosening of tiles. If you have a tile roof that has been damaged and the assessors have deemed a replacement is required you have the option of choosing to replace your roof with tile or with metal. 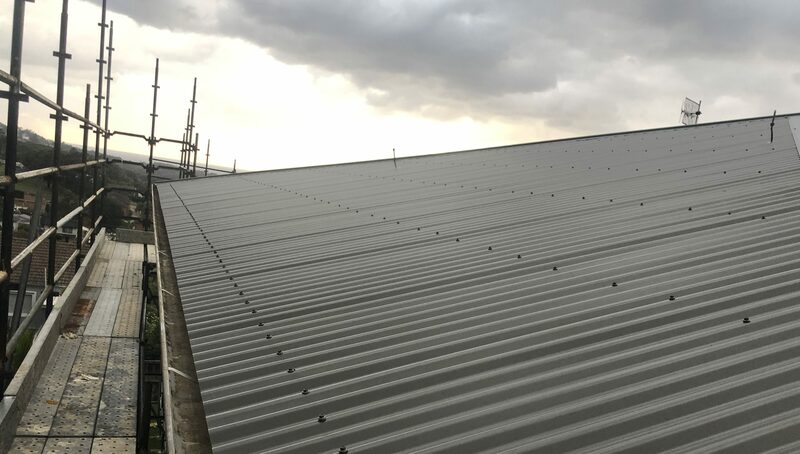 If you have a metal roof, the dents and the loss of the top layer of paint in your metal roof can compromise the life of your metal roof sheets and flashings. Notable dents can lead to early corrosion from dirt and water ponding in these cavities, fracturing of the paint which can create structural weak points. 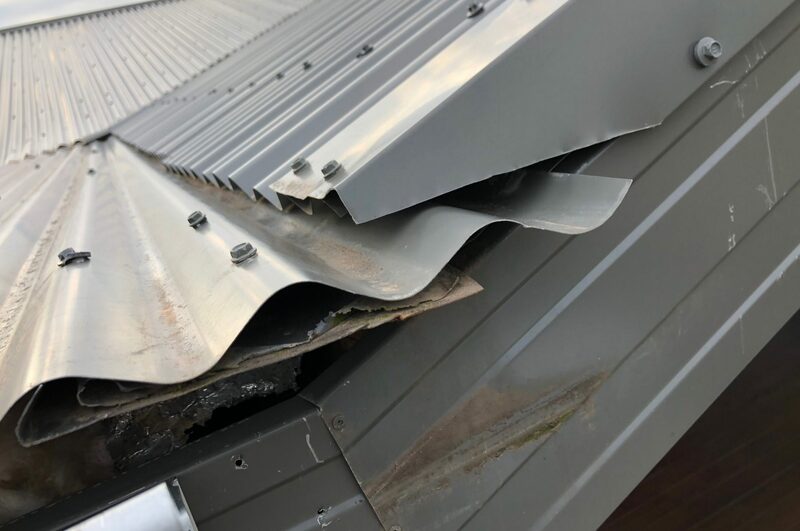 Where the sheets of metal overlap on low-pitched metal roof sheets, the hail impact on these laps can cause them to deform/warp and water ingress can occur on the lap joints. 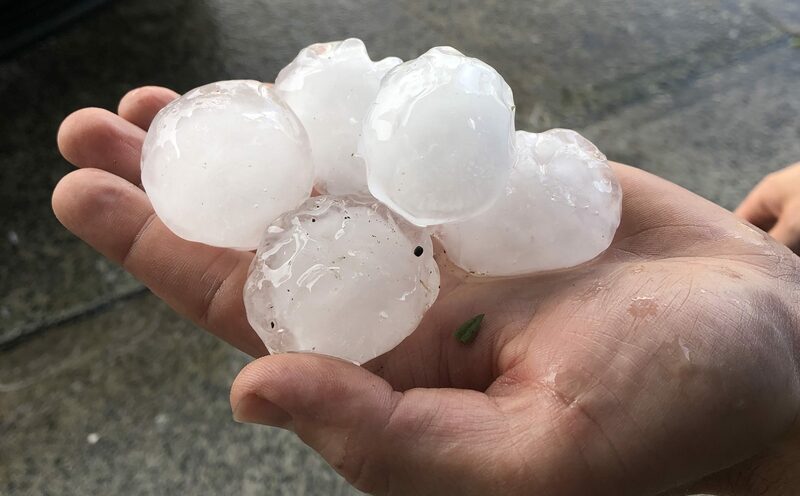 Has your roof been impacted by the recent hail storm ? So here you are, your roof has been damaged by the recent hail storm. You’ve contacted your insurance company and the assessors are booked or scheduled. Where to from here? AusStyle Roofing will inspect and document the damage caused by the hail on your roof. We are qualified to produce a legal roof report* that can be used to support your insurance claims. HIGH ALERT: Cowboys, storm chasers are about! We see a lot of people taken advantage of during times of need. People offering their services and not being qualified for the job they are offering. Always use a licensed roof plumber – a builder is not a roofer and their work will not be warranted unless they hold a valid roof plumbing license. Check your tradesman roofing license on Department of Fair Trading NSW website (click here). Be wary of cheap quotes! Make sure quality materials are being used on your property and the scope of work covers the complete roof. AusStyle Roofing quotes are a set price with no hidden extras. Be aware of tradesman that work on hourly rates. How does AusStyle Roofing help you? 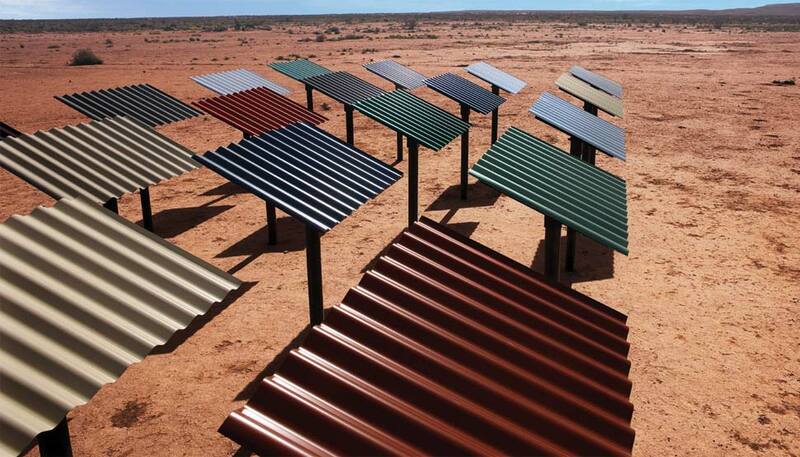 AusStyle Roofing are your local qualified and licensed metal roofing company based on the Central Coast. Use and support local businesses, out of state contractors licenses may not be valid in NSW. AusStyle Roofing has a dedicated team member responding to all roof storm damage quote requests promptly. AusStyle Roofing can provide you with a roof report* to support your insurance claim. AusStyle Roofing will provide you with an obligation free quote. AusStyle Roofing do not employ subcontractors, all staff are employed full-time. AusStyle Roofing provides lifetime warranty on workmanship and standard supplier product warranty. AusStyle Roofing is a member of the Metal Roofing and Cladding Association of Australia and Master Builders Association. * There is a cost associated with completing a roof report.